A renowned and absolutely brilliant program for ANYONE wishing to have more success in their business, online or live! Members of BOSS Business Boost enjoy exclusive access to this very rich resource of cutting edge business planning tools, must-have resources, video and coaching programs and powerful must-have templates that business owners use to achieve breakthrough, sustainable, next-level success.Best practices for business success at your fingertips. Affordable access to leading business experts has never been easier and more affordable. BOSS Business Boost provides training, coaching and step-by-step guidance in the planning, developing and executing of every topic and best practice required to run a successful consultancy business. I understand that BOSS Business is focused on how to set up a profitable consulting practice and sign up 1-1 consulting clients during introductory sessions, which is the #1 most important part of any business. I “get” that this training took a lot of blood, sweat, and tears for you to figure out and create and that it’s value is higher because it is boiled down into elegant simplicity without all of the usual fluff. I agree and give you my word that I’ll complete all of the training sessions and give it my best. I understand that by staying in past 30 days, that I’m committed and I’m going to stay with the program all the way through to the end. Jennifer, I’m seriously going to give this program my all. 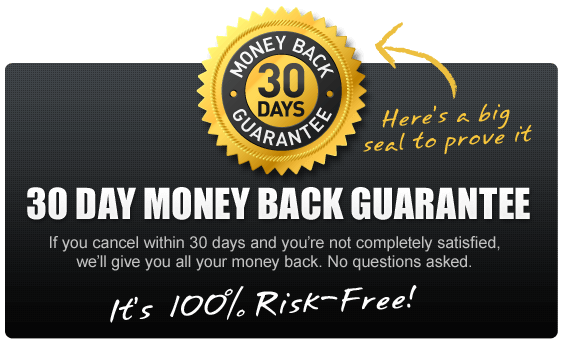 I also understand that I have a generous full 30 days without risk to decide whether or not BOSS Business Boost is right for me, and that I can ask for a full refund anytime in that 30-day period. Many people will actually set up their business and get clients and make money from this training in the first 30 days, but even if I do or if I don’t – if I can’t see the value of being able to consistently and systematically sign up clients using BBB I can ask for and receive a full refund of every penny I’ve invested as long as it’s within in the first 30 days.